I’m pretty excited for a couple of reasons today. I’ve been waiting a while to join do. Good Stitches – the charity bee – and I finally got an invitation to join a new circle a couple of days ago. I am so excited to be able to give a little something back. 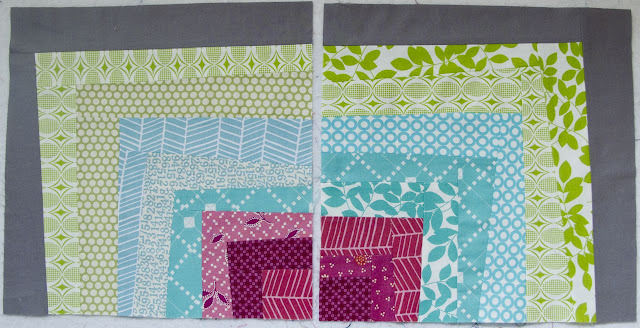 This month our host Marika asked for wonky bento blocks in raspberry, aqua, green and grey. 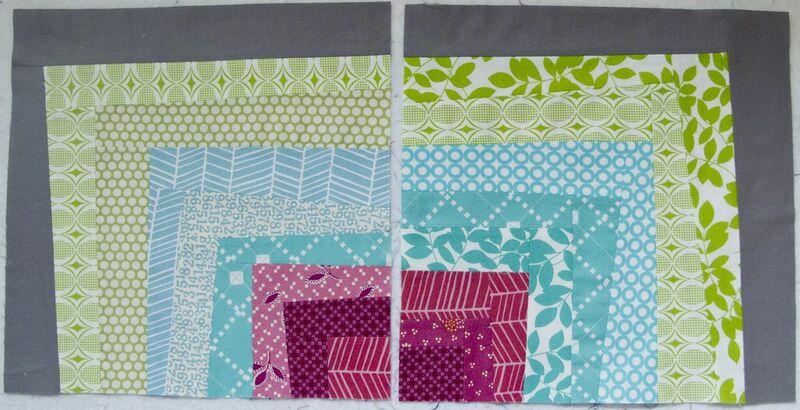 These blocks were so much fun to make, and I am sure the quilt will be just lovely when it is finished. The other exciting development is the arrival of Katie, our puppy. 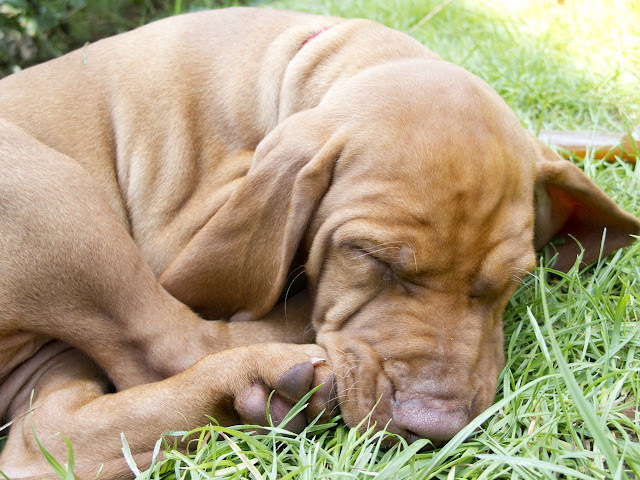 So far she has sniffed everything, eaten some pretty dubious bits of garden, cried a bit, licked a lot more, and is now taking a nap. Being this adorable is exhausting, apparently. So far there have been no accidents on the carpet, but she has only been with us for two hours. There’s still time. I’d better get busy training the kids to pick up the mess.